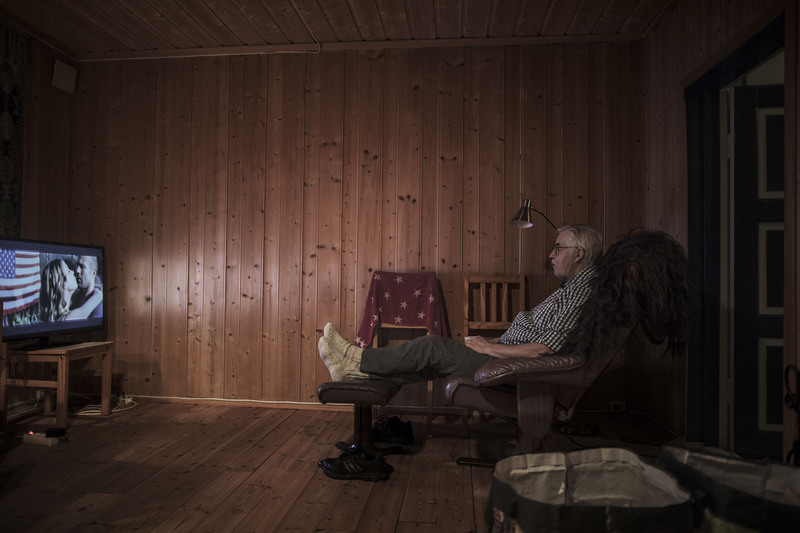 Tore Tvedt (74) at home watching an American film dubbed into Russian as he eats supper. Every night he posts articles on the Vigrid webpage, a site he founded in 1999. - Our goal is to get the refugees and foreigners out of Norway. I don't care if it is first class on a ship or any other way. They need to be sent out, says Tvedt.